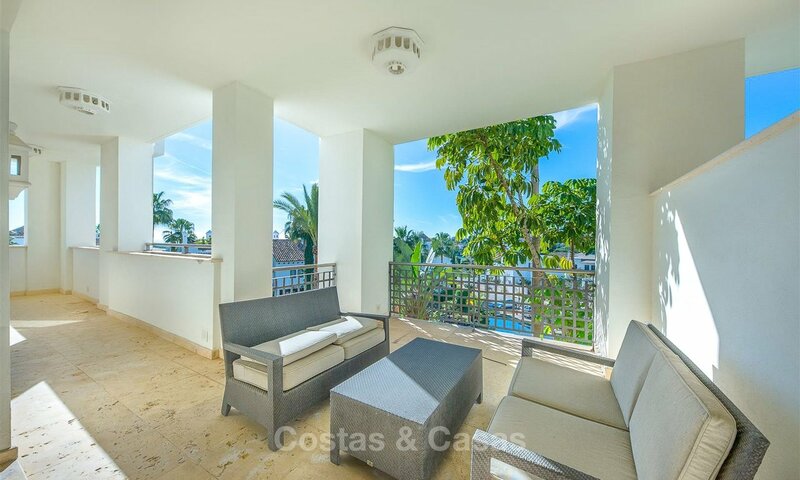 Modern luxury frontline golf ground floor apartment in a 5-star golf resort for sale in Benahavis - Marbella This spacious ground floor apartment is located within a security gated complex in a 5 star golf resort at only 2 min drive to the nearest supermarket and the beach. 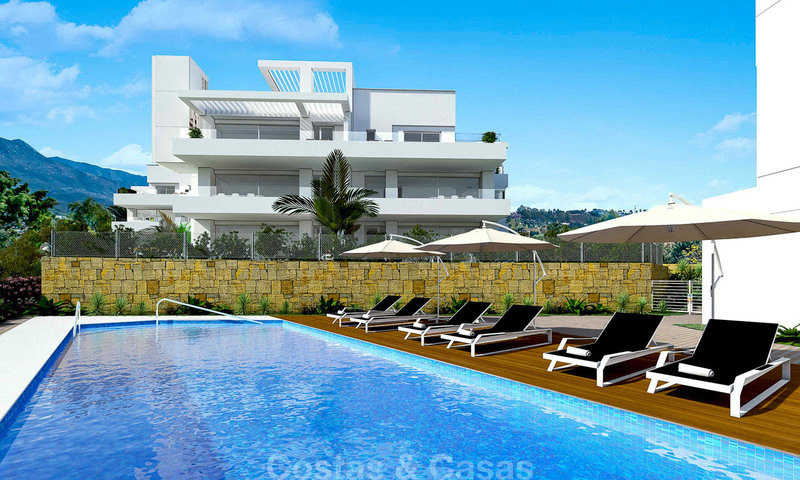 All amenities and Puerto Banús are no more than 10 min drive away. South-South West orientation. Terrace plus private garden. 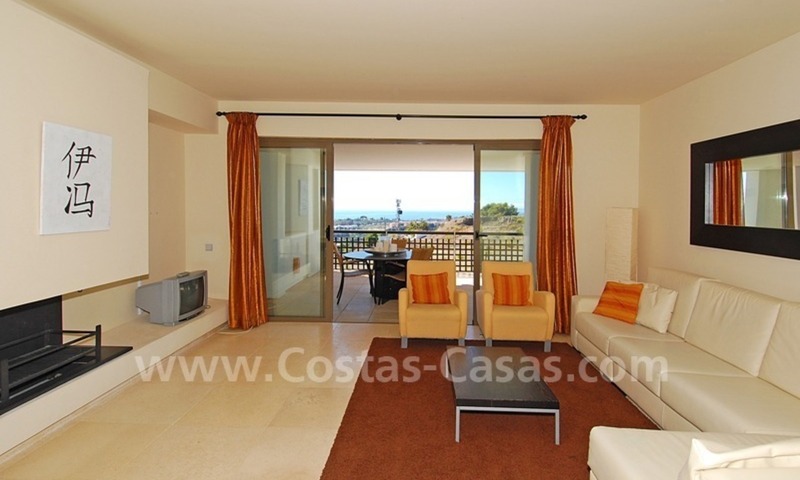 Views to the sea, the golf and a 5 star hotel SOLD. But we do have other apartments for sale in this complex. Please enquire. 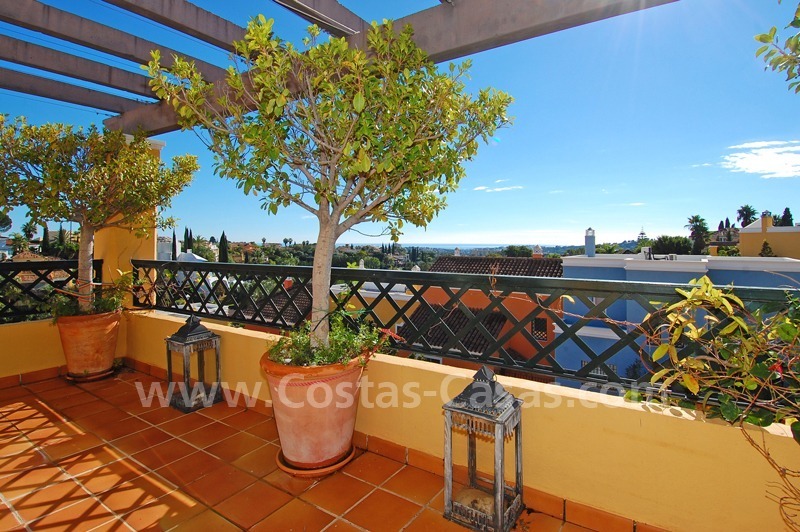 Townhouse to buy in Nueva Andalucia - Marbella Elevated complex of townhouses with gated entrance, concierge service, communal gardens and swimming-pool with waterfall and putting green for golfers. 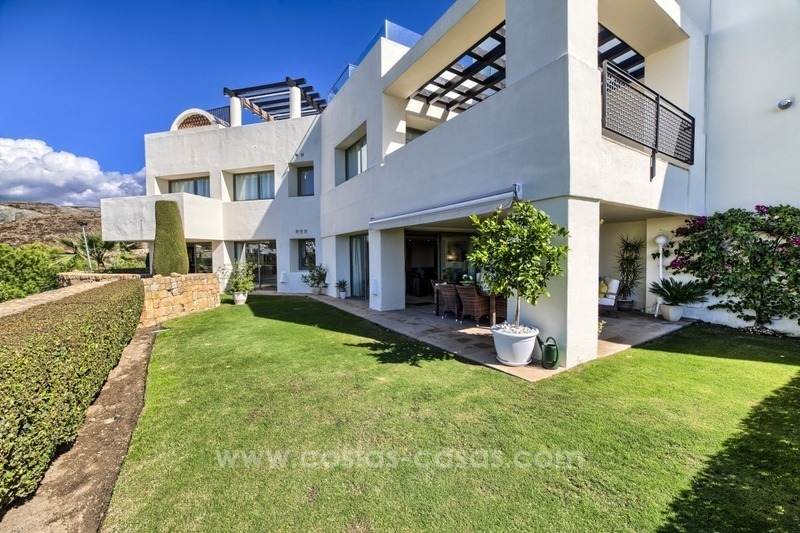 Located in sought after area next to renowned golf course in Marbella´s golf valley only a few minutes drive to all kind of amenities and Puerto Banus with all its amenities, beach bars and restaurants and shops. Tranquil and secure location. 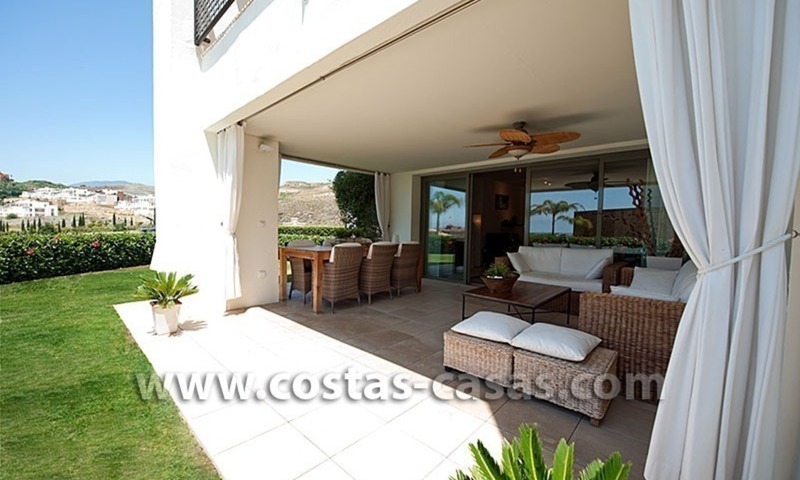 It is rare to find in Rio Real or elsewhere for that matter, a spacious, stylish 3-bedroom apartment with sea views and at the same time, surrounded by so much green. This is a unique opportunity. 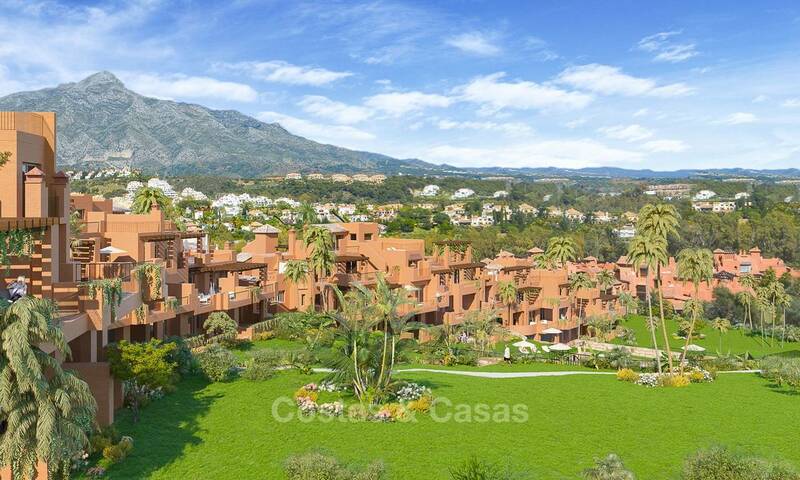 Bargain Luxury frontline golf penthouse apartment for sale in the area of Marbella – Benahavis Elevated Front line golf course complex and penthouse. Golf, sea and mountain view. Southwest orientation. All day sun. 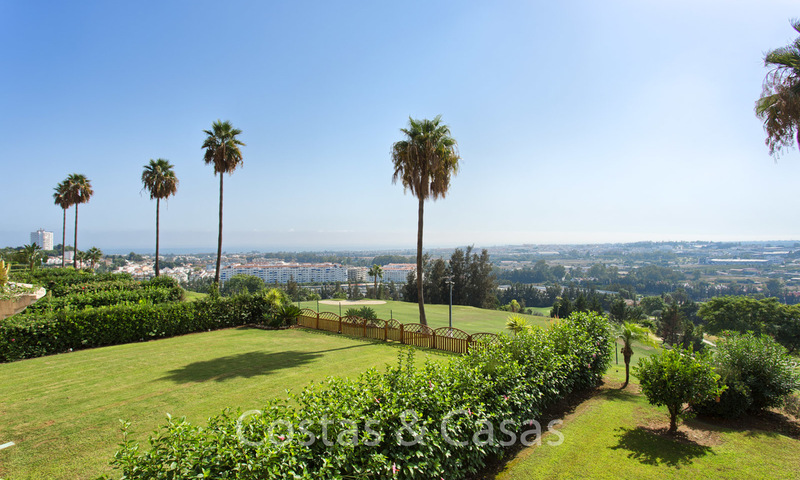 Landscaped Mediterranean gardens with outdoor swimming pools, as well as a Spa, including a heated indoor pool, Jacuzzi, sauna, gym, tennis court, green bowl lawn and covered children´s play area. 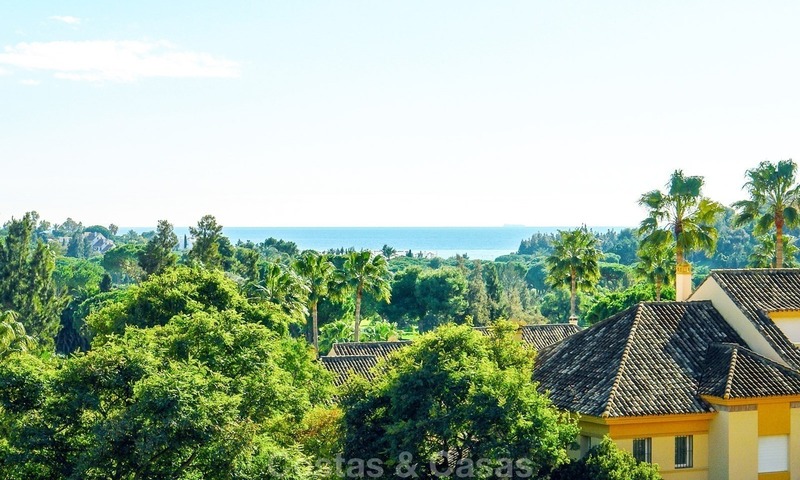 3 minutes drive to the beaches, beach clubs and boulevard of San Pedro (Marbella). Walking distance to supermarket.